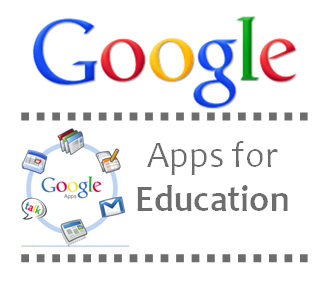 Google Apps for Education (GAFE), what is it, and how does it pertain to Hart Public Schools? Google Apps for Education is a core suite of productivity applications that Google offers to schools and educational institutions for FREE. These communication and collaboration apps include Gmail, Calendar, Drive, Docs and Sites, and a GAFE account unlocks access to dozens of other collaborative tools supported by Google. All of these applications exists completely online (or in the cloud), meaning that all creations can be accessed from any device with an Internet connection. After much research, Hart Public Schools embraced Google Apps for Education and registered the school domain (web address). After the domain registration was completed, Hart Public Schools was then granted the ability to administer all teacher and student Google accounts from an online administrative dashboard. Becoming a “Google School District” not only reduced expensive reoccurring licensee fees paid to major software vendors, but also opened the doors to enhanced workplace productivity and innovative classroom instruction and learning. Using GAFE allows administrators, secretaries, teachers, students, and other district staff members to “share” and collaborate on documents, teacher instructional PD, interactive presentations, data spreadsheets, video/audio conferences, informational surveys, student assignments & testing, internal/external work orders, calendar event scheduling, website development and much more with ease. The Google Apps “sharing” method also works well with external Google participants that can share data with allowed HPS Google account users in the district. This type of interaction opens channels of communication/collaboration to online learning institutions, 3rd party services, and trusted EDU vendors for both staff and students. Another major advantage from going to Google Apps is utilizing the FREE “Google Cloud” to store and access data. This convenient online storage method frees up much of the district’s internal data storage, reduces timely network account management, and eliminates the added expense of purchasing and maintaining costly servers and disk storage arrays. With the many benefits, ease of use, and the affordability Google offers education, it has allowed Hart Public Schools to launch a 1:1 Student to Chromebook Initiative at the High School. At the current rate that Chromebooks, laptops, and other mobile devices are being deployed into the Hart elementary and middle school classrooms, Hart Public Schools could be a full 1:1 K-12 Student to Device District before 2018. Google Apps for Education has thus far exceeded the expectations of Hart Public Schools. Google Apps is a core suite of communication and collaboration applications that allow students to work from any device on documents and projects. Once a school registered email address is registered with Google Apps for Education, teachers and students can unlock Google’s apps with one login. An “office suite” of tools – Docs, Sheets, Slides, and more – that offers the ability to work from any device as well as share and collaborate. Because all Google Apps save to the cloud, teachers and students gain the flexibility to work from any computer or device.